Would it surprise you if I told you the best team in the NFL, was located in Los Angelos? Of course it wouldn’t! I guarantee you 99% of NFL experts would tell you the Los Angelos Rams are the best team in the league. Some are saying the Kansas City Chiefs, or the New Orleans Saints. I am saying the Los Angelos Chargers are the best team in the NFL. From the beginning of the year, I knew Philip Rivers was going to have a career season, but I didn’t expect anything like this. Philip Rivers is trending towards a 40 to 8 touchdown to interception ratio which would be a career high in touchdown passes and a career low in interceptions. And his completion percentage, a gorgeous 68%, is the best it has been since 2013. Not only Philip Rivers’ efficiency helping his team, but the young stud in Melvin Gordon has helped propel this team to a 60% redzone efficiency which is 11th in the NFL (ahead of the Los Angelos Rams) whereas last year they were 28th in redzone efficiency. Putting the ball in the end zone and keeping it out of the other teams hands is what generate a great football team. The Chargers have the 6th best turnover margin per game (0.7) which has helped this team to a 4-2 record. The defense has been sound, at 13th in yards per game, but not exactly where it needs to be. But last season they had the 15th ranked defense in terms of yards/game, and they still managed to be one of the most dominant defenses in the NFL. Once Joey Bosa comes back healthy, I expect this defense to take a huge leap forward as they did last year. The dangerous pass rushing combo of slept on Melvin Ingram and Joey Bosa could propel this pass defense to record breaking numbers. Young superstars in the secondary like Derwin James and Denzel King will develop and become more experienced as the season continues. 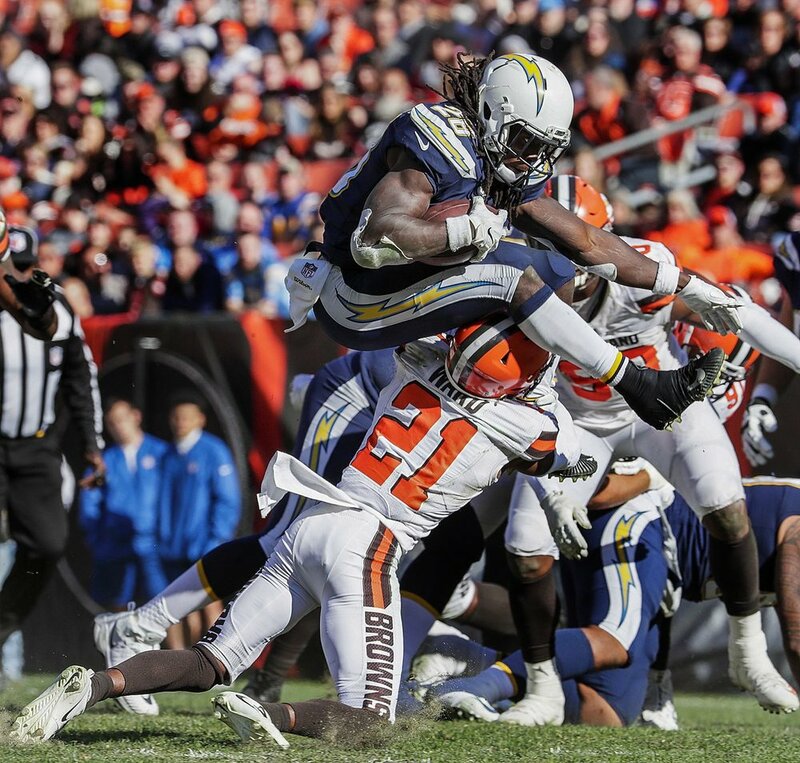 The Chargers upcoming schedule includes the offense-less Titans, the decimating Seahawks, the fire-dumpster Raiders, the Broncos and the Cardinals. The only tough opponents left on their schedule are the Steelers (if they get Le’veon Bell back) and the Kansas City Chiefs. The Bengals don’t seem much of a threat late season (as many may know Marvin Lewis usually calls it quits by week 10) but I see this team doing no worse than 10-6 and at best 12-4. The road to the Super Bowl will go through Los Angelos, but it won’t be the Rams hoisting the Lombardi Trophy, it will be Philip Rivers and Antonio Gates finally getting a ring on their farewell tour. And if I’m crazy for thinking that, then lock me up in an insane asylum.